Donald Trump's Economic Strategy... Maybe? With all the sound and fury that emanates from the various parts of our nation's capital, it's not always easy to pin down President Trump's economic policy — or if he even has one. 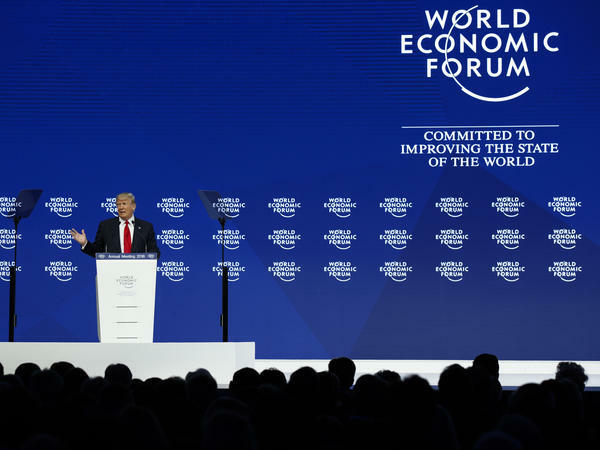 Greg Ip, chief economics commentator at the Wall Street Journal, has written a piece identifying a few patterns that suggest an economic philosophy, whether it was deliberate or not, that sets the president apart from his predecessors. Like the extent to which he helps his favorite industries, how focused he is on China, and how often he cites national security as a motive for his policy decisions. Cardiff got Greg on the line and asked him to break it down for us.